Its all about living the life the unconventional way! This blog is just about the insanity of this world, travel, humor, music, and just about anything under the sun! How to get the most when you travel in India ! With the emergence of internet and social media, Traveling is becoming popular and more people are choosing to travel and more out of their comfort zone. Unlike earlier, planning a trip has become very easy without you requiring of the expertise. I have been traveling all my life, and have done almost 3-4 train journeys in a year covering length and breadth of India. I have been to Guwahati, Hyderabad, Delhi, Madurai, Pushkar, Goa from Mumbai. Travel time has been somewhere from 8 hrs to 50 hrs. And all of it truly been an experience to cherish forever. From meeting fellow travelers in the train, trying local cuisines at various stations, passing through mountains, long railway bridges over rivers and much more. I am sure you will not regret if you plan your next travel by train. Always book well in advance as the seats fill very fast. Advance reservation period for trains is 120 days and you can book it here. Indians love food, and every place has its own delicacy. It is often very confusing to judge a place from outside, specially when its about food joints. All of them look very tempting and restaurant owners are so welcoming. But I always follow this well known principal of eating where the local eats. I always prefer to do sightseeing in the local public transport, it allows me to interact with the local public and get to know their culture even better. You may even come close to becoming a local citizen even if its just for a short while! And I am sure even the locals would love to chat with you and get to know about your experience about the place. You may even get invited to their place for lunch. It may not be as comfortable as compared to the Air conditioned tourist cab, but i am sure you won't regret it in the end. This is all i can think of at this point.. May be i will post some more soon in the next post.. Till then Keep traveling and exploring. There is no better time than now. Our trip started off from Guwahati which is the main city in entire North East, It took us around 3 hrs by bus to reach Shillong from Guwahati. After doing local sight seeing in Shillong, we left for Cherrapunji and stayed there overnight. Though is is considered to be the wettest place in the world, we were unlucky to have missed the rains. 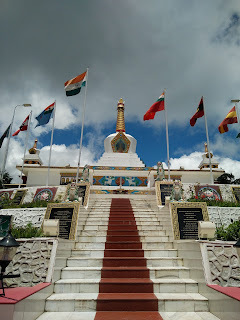 Next day we did local sightseeing and returned to Guwahati. 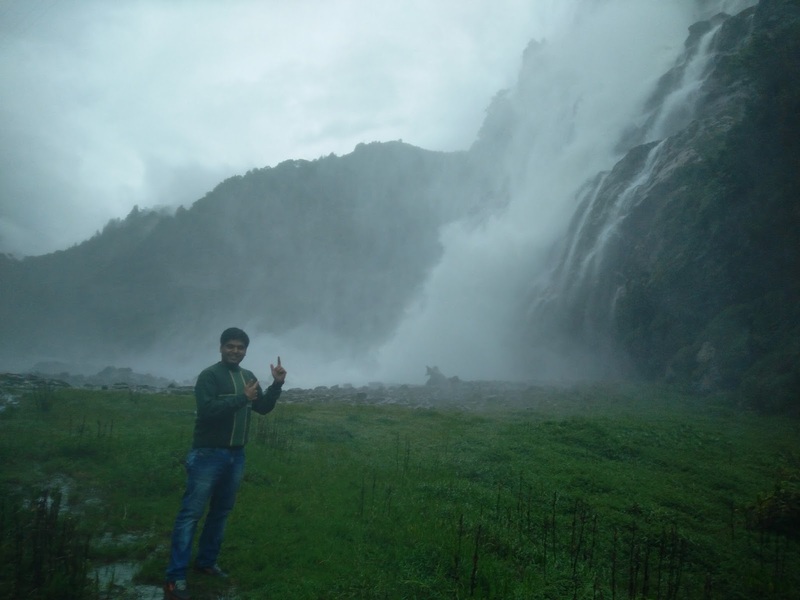 Main attraction was Wondermondo and Elephant Waterfalls on way back to Shillong. Roads are smooth throughout the course with green fields on both sides of the Road. We reached Guwahati in the evening and spent the night there. Arunachal Pradesh is the largest state in North East India, bordering China in the north and Bhutan in the west. Unfortunately we had to get our Inner line permit made from Shillong before entering Arunachal. 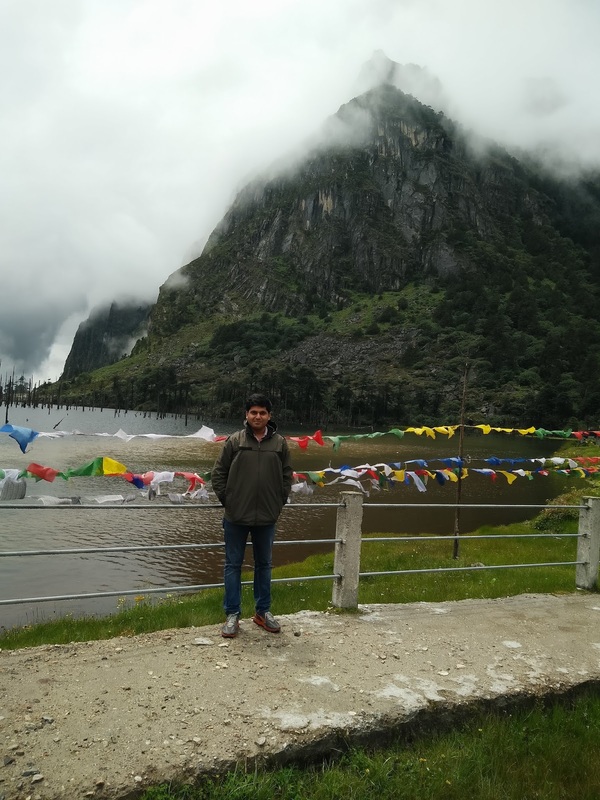 It is as per the rule, all indian citizens who are not the native of Arunachal has to obtain the tourist permit which is given easily without any hassle. It is recommended to apply directly in person at the Arunachal pradesh District Collector office which is more convenient than applying online. 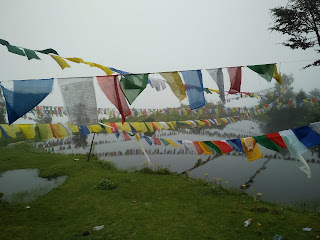 We left from Guwahati in the morning around 6am and got into the Arunachal Pradesh tourism bus for Bomdilla from Interstate Bus Transport (ISBT), Guwahati . Seats are comfortable and priced 425 Rs. per person. Road till Bhalukpong (5 hrs from Guwahati) are good and pass through plains. Road onwards Bomdilla from Bhalukpong passes through mountains and takes 6 hrs. Bomdilla is small town at about 7200 feet with great weather. All tourists have to cross this town to reach Tawang. We stayed in Bomdilla in the night and left early next day morning for Tawang by private taxi. It is recommended to hire private taxi as there are some important tourist points like Jang Falls, Jaswantgarh Memorial etc. on the way to Tawang. You will also cross Se La Pass which is at 13,680 feet height. It is considered to be second highest motorable road in the world. Views are picturesque and breathtaking. It is recommended to visit in the winter. Near the Pass is the beautiful Sela Lake (sometimes called Paradise Lake because of its beauty), which could be fully or partially frozen in winter. After reaching Tawang after the sun set, we checked in to our room and had dinner. Following day we visited Tawang Monastery (2nd largest in the world), craft market, War Memorial and birth place of 5th Dalai lama. On the second day of our stay in Tawang, we set out for out visit to Bum-la pass (Indo China border) which is at 14, 000 feet height and has restricted access with prior permission from the Tawang War memorial in writing. It is given with ease. Journey from Tawang to Bum-la pass is full of adventure with so many twist and turns on the narrow road bypassing so many army installation and military vehicles. After reaching the border we were greeted by the military and they showed us around. We really had fun time, though did not spot any Chinese though :). There were so barbed wires unlike LOC, just the mutual understanding between the military of both countries. Though the Yak (Long haired bovid) were roaming freely without bothered about the border.! :) On way to Tawang we went to see Madhuri lake ( Madhuri dixit shot her movie for movie Kayla at this lake which gave this name), it is one of its kind midst of mountains and one can see branches of tree in the middle of Lake, which is the result of earthquake. 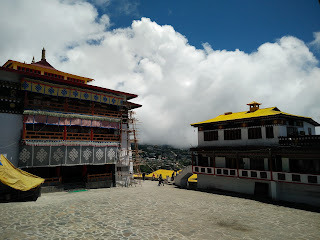 We returned to Tawang in the afternoon and took some rest for the remaining day. We left for Guwahati following day with one day rest in Bomdilla. We thoroughly enjoyed our trip, and would highly recommend to visit this lovely undiscovered heaven in the eastern corner of India. People are very friendly, food is amazing, and no pollution. Is our Honorable PM Mr. Narendra Modi an All Rounder? Everyone had huge expectations from Our honorable PM Mr. Modi, to an extent its all panning out quiet well, here is why he has proved to be an all rounder? Pradhan Mantri Jan Dhan Yohan- As per reports it has been a roaring Success. With just a bit more than 2 Months of its launch 7 Cr Accounts have been opened with Rs.5000 Cr Deposits. But does it really going to make any difference in the life of common man and our economy..? Well its been one of the best scheme being implemented in the Financial space. Not only we have given formal banking access to unbanked population who will get access to fund at much lower rate.. But help them to save money and grow it at the same time. Lets take an example: even if they were saving Rs. 50,000/- p.a. they did not know much to do with this money and would generally keep it in their homes. But now with their bank account they will get at least 4% interest which is good amount of Rs. 2,000/- p.a. And now just adds up the interest for 7 Cr. account holders annual saving.. there money is not just growing but its quiet safe as well. Infrastructure- There is a lot which needs to be done in infrastructure space for better connectivity between cities and for fast moving of good from business point of view. Earlier governments did started some crucial projects but there implementation was much behind schedule with very less focus on the adjoining border area infrastructure. Mr. Modi knew its importance and started working on it from day one with special focus on Roads near by border areas. 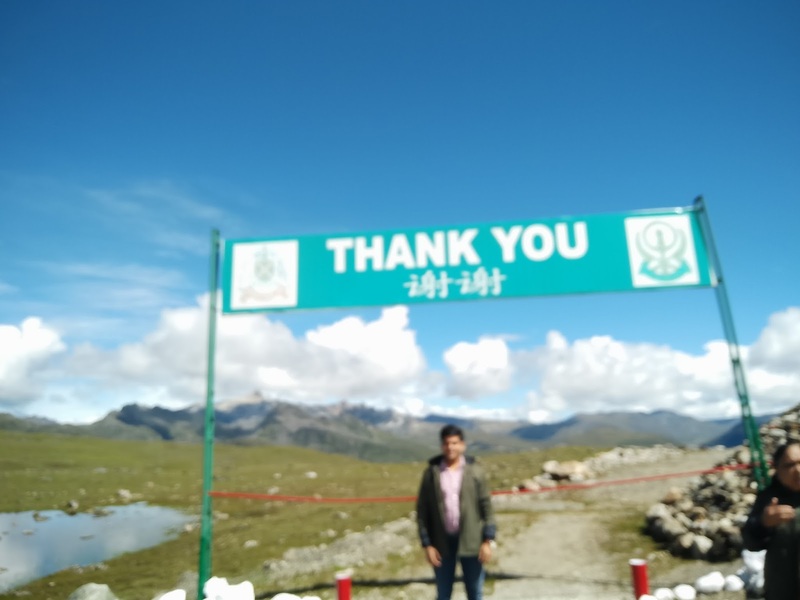 Best example is of 2,000 km road from east tawang to Vijay Nagar in Arunachal Pradesh which is of significant importance for safety, military capabilities and to reduce native population from migrating to big cities. Swatch Bharat Campaign- Many will criticize current government and may even term politicians as photo opportunist. But i have never seen a national campaign create so much awareness. India has had cleanliness issue since long and every one knew about it. But very few steps were taken to do much about on such large scale. Clean India movement will not only curb spreading of epidemics but also improve tourism prospects and healthy living. Finally we have a leader who does not shy sway to accept this as a problem even in an international stage where he requested NRI's to come forward and take pledge to clear Hole river Ganga. This has opened up a new window of funding and may not even require any funding from government at all. Connecting with the Masses through Mann ke Baat- Remember last time when you heard your leader speak on a radio? We often forget that more than 50% of India still lives in Rural India and just one third of rural households own a TV set. No matter how much good work you do or launch new social schemes for the common man. If you can't connect with them through constant communication chances are that they are going to feel that they are being left out. Response of his fortnightly address "Mann ke Baat" has been so good that villagers and people from all corners of India come together and listen to their PM who gives them hope of good days ahead for India. Finally an All Rounder who knows how to play on different pitches and can bat against all types of bowling attack..
"A day out in forest reserve of BNHS"
All set for a thrilling trip to the forest reserve adjoining Borivali National Park on Saturday morning. I had to get up early morning at 5 so I can reach goregaon station at 7:30 from where Bombay National History Society (BNHS is one of the largest NGO in India) green color bus was waiting for us to take us to the forest reserve. We crossed film city, where we saw some sets and few small screen actors getting ready for their shooting. A few meters on way, we saw a Warning sign “Leopard Area” Entry restricted so that was the first sign that we have entered Forest reserve and we reached base of BNHS at about 8:30, though bit late from the schedule. We received warm welcome from Mr. Rushikesh Chavan, Conservation officer and few other members of his team. We wandered for sometime inside the center, looking its library, publication house and sat near the reception, chatting about the surroundings. While we were talking, one of my friend’s eyes fell on a big skull. We came near to touch it, and then we heard one of the members saying from behind, that it’s a real skull of an elephant. After some time we were instructed to be in the “Center Room” for the introductory briefing from Mr. Rushikesh. He took us through some of the national park that India has from Jim Corbett to Kanha National Park, from Western Ghats to Himalayas. And also shared one statistic that India is lucky enough to be among the worlds largest country to have hundreds of bird species and rich flora and fauna. Shortly we had breakfast, and we were all set to go out in the forest and trek to the Salim Ali point which is the pinnacle of the BNHS reserve, offering a panoramic view of the reserve and the adjoining National Park. Our education officer Priti gave some tips of dos and don’ts in Jungle and to keep silent if we wanted to see Leopard…! Yeah, she said about a fortnight ago about this time in the morning one of the group had seen Leopard who generally stay in the interiors of National Park to avoid the heat in the day time. She showed us Butterfly garden, where the information about different species was written. At 9:30, we started our trekking, passing different species of plants on both of our sides; the path was a bit rocky and comparatively clear. Then we stopped to see Ghost tree which is white in color and looks a bit scary during the night. Just next to it were the climbers, the same which were used by “Mr. Mogli” of Jungle book to cross from one tree to another. Yeah they do exist. Moving along our way, we saw a sign board which read “Leopard point”, and then we all stopped at once and requested Priti to lead us. Our neck moving 360 degree, but we were lucky or rather unlucky to not have seen Leopard. Then, a bit more trekking for about one and half hour, and we reached Salim Ali point. What a panoramic view it gives of Vihar Lake and National Park. We clicked some pictures and sat there to enjoy the scenery. We trek down for about an hour and came back to the base of BNHS and had our lunch. Then we were given presentation on the history of BNHS and the global issue of climate change. We all were divided in to groups and had to share our experience (through poster presentation) of our forest trip. At the end, to summarize the trip we calculated individual’s carbon-footprint, most of us were way ahead than the world average. Then, we were told the ways of how to reduce carbon-footprint and greener ways of living. Finally, we all bid our goodbye to the team of “BNHS” for the amazing experience that we had and a promise to come back again and left to reach back to the “Outside World”…..
It’s good to be home. Sitting on the couch in the living room of my apartment here, I’m surrounded by the comforts of the expat life I missed — satellite television, broadband internet, pretty consistent electricity. But something’s changed. These things don’t feel the same anymore. The luxuries used to make me comfortable; being comfortable, I thought I’d adjusted to India rather well. The last two weeks changed my mind. Since I set out with a friend of mine on a road trip to discover the “other” India, I’ve come to realize that the India I live in is hardly the same for most people in this country. I had to say no. The country I saw over the last two weeks is most definitely not the India I call home. It looks different, sounds different, even tastes different (food is much spicier, for one). What drives life in India’s modern cities is a mixture of dreams, ambitions and hope. But, I learned, what it takes to live in the parts outside the city limits is something very different. From our time on the road, that’s the lesson I’ll remember: to live out there, in the India beyond the cities, you muct accept and adjust — to whatever, whenever, however. Drivers regularly defy the rules of common sense, to say nothing of traffic laws. Yet not once did I see a moment of road rage or incredulity. I’m hard pressed to think of an instance when a near-miss didn’t end in drivers smiling at each other. They accept, and adjust. There’s a Hindi word Indians use often when the unexpected comes up: chalega. Literally, it means “it’ll work” or “it’ll do.” And they use it all the time. Can one more passenger squeeze into a long-haul auto-rickshaw already bursting with a dozen human bodies? Of course: Chalega. What should I do if there’s a truck charging at me head-on? Pull to the left and wait for it to swerve at the last possible moment: Chalega. What happens if my muffler falls off? Re-attach it with some duct tape: Chalega. And if it’s pouring rain and I don’t have an umbrella? Tie a rag around your head and go for a walk: Chalega. I tend to think I’m a fairly easygoing guy. But I’m not sure I’m laid-back enough for everything I saw. I can’t always say chalega, not to the destitute poverty of children begging the streets of some towns we passed, nor to the poor infrastructure that leaves millions without electricity for hours every day. And I definitely can’t say chalega to the rural health clinics that forced my friend to have his stitches removed and redone in a larger hospital — after lackadaisical care left him with a spreading infection. For me, chalega is not a valid response. Living in many of the small towns and villages I saw takes an ability to accept and abide, an ability that I just don’t have — mainly because I was raised in America amid comfort and order. But as India develops, and more people become accustomed to similar comforts, I wonder how long that attitude can last. How long will people in the hinterlands of this country accept their lot with a shrug and a nod? How long will people keep making space in already crowded buses and auto-rickshaws for a population bursting at the seams? How long before Indians need more than just a word — chalega — to keep going on? Human Trafficking has become the 2nd biggest industry after drug smuggling and as per UNICEF estimates the number of children trafficked annually is around 1.2 million. It has been believed that human trafficking generates about $ 32 billion annually. There has been various number of NGO who are working to create awareness among the masses and trying to curb it. I have come across one London based NGO who is working on the campaign “Stop the Traffik” globally and was moved by the about the above facts which I came to know when I met the officials. The worst situation that is faced by the victims is when some natural disaster happens, as is the case in Haiti. The children are left without home and sometimes without a family which makes it easy for traffickers to take advantage of their insecurity. But now, most of us might be thinking what we all can do, and it is very difficult to find time for all these activities. Take an example, how many of us knew about the number of tigers that were left in India…? I think very few of us. But after the Aircel “Save Our Tigers” Campaign most of us know about it, not only that people have even started taking interest about it by writing, discussing with others. It can be seen by the increasing number of members that are there in the official face book page... What this campaign will do is, pressurize government authorities to take necessary action against the corrupt forest officials, because now someone is watching them and keeping the track of it. In the same way if we just be aware of our surroundings, and if we find any suspicious person with a child, we can immediately report to the local police or NGO. It would hardly take a minute for us, but it can change the life of that child. It has its roots in the Kyoto Protocol which came into force in 2005 and envisages a reduction in the emission of 6 polluting gases by industrialized nations in the period 2008-2012 by at least 5.2% as compared to the 1990 levels and is monitored by the UNFCCC. However, given the high level of industrial activity in such nations, it is difficult to achieve these standards and hence they have been given an option to purchase CERs (Certified Emission Reduction) from developing nations, giving rise to the Carbon trading market. The buying and selling of these CERs enables the industrialized nations to continue running their industries at similar levels of output while providing the developing nations the necessary capital and technology to use more eco-friendly sources of power. The procedure is to be followed by an organisation to apply to the UNFCCC for registering the carbon credits and the conditions that a project must satisfy in order to be eligible for getting CERs. He also talked about the various kinds of projects that fall under the Clean Development Mechanism (CDM) of emission reduction, the major industries that could benefit under this scheme and the major buyers of such credits. In this context, the kind of projects that have been initiated by GACL, of which 2 have already been registered by the UNFCCC, and the kind of cash flows that were associated with the projects. The Economists view is that while the recession had adversely affected the CDM market both in terms of volumes and value; it was on a recovery path. Comparing India and China, the two biggest players in this market, they also mentioned that while China had a larger share in the number of registered CDM projects as compared to India, the quality of Indian projects was considered as superior to the ones from China and this is something Indians could aim to capitalize upon. After doing a SWOT Analysis of the CDM projects, he concluded that their future hinges on whether the Kyoto Protocol is extended beyond 2012. He concluded that if it did the opportunity for Indian organisations to benefit from would be immense. This session on Carbon Trading Mechanism was extremely interactive and provided an enthusiastic assemblage of students with keen insights into the CER industry along with instilling in them a desire to continue learning about this nascent but important field. Below is the excerpt of the email that I had sent to all my batch mates for a get together. I thought I will share with you guys too. It gives a brief summary about amount of fun that we had during those years. DAV Chandigarh, June 2004. Class BBA. This is our identity as of now and that’s how we all know each other , This is the place where we had come from different places, some of us had come for the first time away from our home, in search of a graduation degree and yeah we have made some wonderful friends too. It’s just un-forgettable the way all the things happened, it seems it was just yesterday. From the memories of mess food to the grilled Sandwiches of Nescafe where we guys would barge in illegally. And then when we guys were coming from FR late at the night, we would look for the BABA outside GH, to have some mast Parathas. And then the next morning some of us would look for the BABA (it’s the other one now) outside our college gate who would be the only one having cigarettes. Then we guys would argue with our friends to mark the proxy for Kavita Mam’s lecture .The one lecture which we hated the most. After some time of learning the different geri routes and hang out places, some night outs in the Kasauli, Morni Hills and a peck or two by some of us at Kaimbvala en-route. Then comes the election days, SOPU, PUSU, NSUI, ABVP they all were there. We guys being in the first year were so enthusiastic to exercise our votes, and to make our candidate win so that we can get full Internals and for some tashan in front of our friends. First year passed just like that. 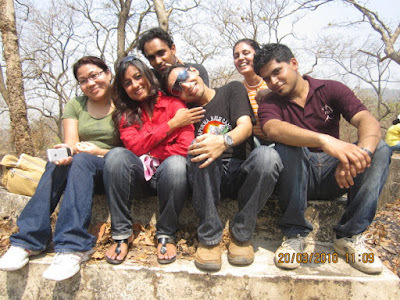 Then came second year, at this moment we all of us had some friend circle and used to roam around with them. And the time passed and we realized that we are just one month away from the exams. Then we would look out for the important questions from the toppers of our class, in our case it would be Deepak. Some of us would get the Books from 15 Sector. Oh sector-15. Tat’s been the most exciting of them all. Especially the street of DAV 15, after all those moments and birthdays at Sukhna Lake that we celebrated with our friends, we just became inseparable. But we all of us had to move on for our future endeavors. It’s been such a memorable tenure which is hard for us to forget in our entire life. Now some of us have started working after their respective PG courses and some unlucky one’s have even got marriage proposals. 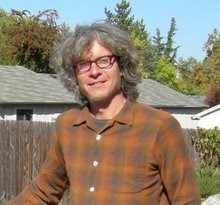 "Give Me Neither Poverty Nor Wealth"
A little excerpt from the blog of Daniel Suelo’s who lives in caves in United States since 2000. He has not touched money since then; except for a month in 2001. For this guy recession does not really exist. If you are wondering where does he access the internet from, well he do it from the free Internet provided by one of the library. My life feels so rich, now. Like the richest man on earth. I don't always feel this way (I sometimes find myself getting pissed off or discouraged, of course) but I usually do - yes, more often than not! I can't figure out if my life is so easy or it's so hard. I don't even know the difference between easy & hard anymore. I don't even know what an ascetic is supposed to be. If I went contrary to my instinct, against my soul, for the sake of earning money, then I would definitely be a self-torturing ascetic. And if I had too much food & luxuries (addictions that abuse the body & mind) I would definitely be a self-torturing ascetic. But, also, if I did not take enough and starved myself and wore hair shirts for the sake of a hungry god of my own making, I would be a self-torturing ascetic. Take only what you need, no more, no less, and all your desires become fulfilled - desire ceases to control you. Needs and desires become one. If everybody took only what they needed, no less, no more, then the human world would come into balance as it is in the non-human world. This is no statement of genius. It's such common sense, so very simple, it's almost absurd I have to say it. But our world has lost the most basic common sense. “What matters is your attitude!” We’ve all heard this cliché, but it’s so true! And at no other place will this be tested more than at IBS! The IBS experience can easily get overwhelming, but that would be completely counter-productive! The attitude to have is that of some detachment, some learning, some focus and some fun. Great place to test out these sorts of theories! It just keeps getting better – I feel 1st sem. is better than mid sem. That’s probably because you figure out how the place works, you figure out how to ‘navigate’ it (and you figure out where you stand!) There’s so much to read, learn and do but you can only do so much reading, learning and doing! Hey, it’s just a two-year program so, what do you expect!? The weather’s fantastic, these days. Everyone seems to be enjoying the beautiful campus. The Reflectionz club (movie club of IBSM) is having a ball with short movie competitions. It amazes me how insulated we are here from the outside world. Every time you get out of the campus, it hits you – the almost mutually exclusive worlds outside and inside IBS! 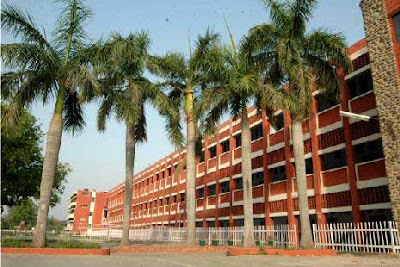 I sometimes feel bad that I am unable to utilize several of the campus facilities – I love libraries, and we have a great library, but I hardly get time to read anything other than what I must read. During the break, I picked up ‘Fooled by Randomness’ and read most of it. It was very interesting, I wondered how I would have felt about the book had I read it pre-IBS (the book touches upon several topics which MBAs are exposed to). Where was I? Oh yes, it just keeps getting better, guys. I can imagine now how things will get crazier (read ‘better’) come electives season, come placements season! And after placements, the final term is going to be one long party. And just when you begin to feel guilty for having too much of a good thing, it’ll be time to get back into the real world! I would travel to any place, if there is a road or a rail track.